The renovated branch is a must-see! IMAGE Danilo G. Pinzon Jr.
(SPOT.ph) Most of us grew up with National Book Store as our go-to shop as soon as the start of school came around. We filled our red baskets or carts with 10 notebooks for different subjects, pencil cases that would take our minds off the boring classes, and bags we could show off to our classmates. This year, the well-loved books and office supply chain is getting a new look and we're giving you a sneak peek at the prototype branch in SM City North EDSA. 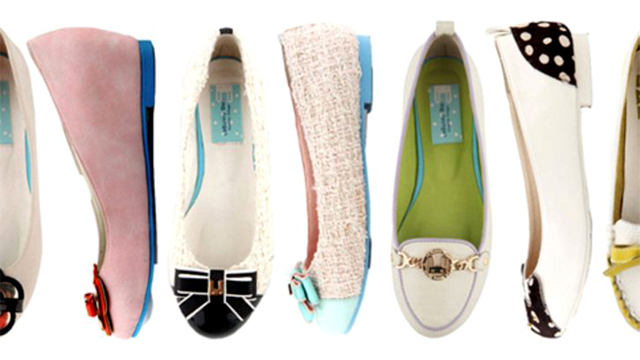 The store’s open to the public, but they’re officially launching it in October. 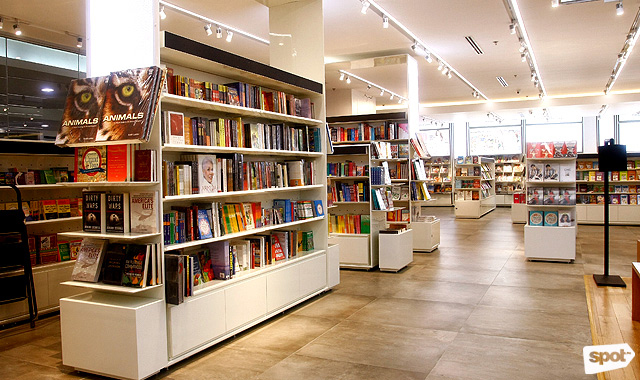 "National Book Store will soon be celebrating its 75th anniversary. Our stores have been partners of generations of Filipinos in achieving their dreams starting at home to their school and to many more stages of their lives after. We are taking this opportunity to introduce a modern and new approach to book and stationery retailing in the digital age. 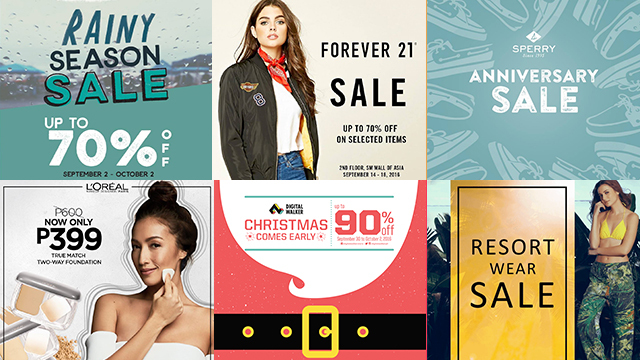 This is a way to invite new generations of Filipinos to our stores and provide a more dynamic shopping experience for our loyal customers," said Xandra Ramos-Padilla, Managing Director of National Book Store (NBS). Distinct in the new layout is the illusion of bigger space despite the same square footage. This was achieved through the use of shelves with different levels. The small ones are by the entrance while the tall ones are towards the back, allowing customers to see almost everything even from the doorway. Even the light fixtures have been turned into mini-indoor spotlights, imparting a warm and welcoming ambience. 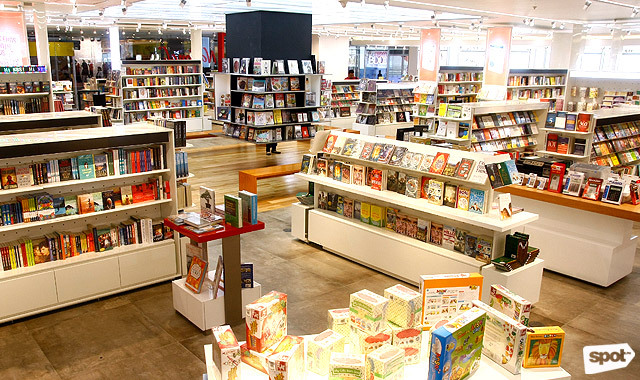 It also reestablishes itself as both a supplies store and a bookstore by putting the two sections side by side, not one after the other as in most branches. To add to the less cluttered feel, the stacks of books behind the glass walls have also been removed. 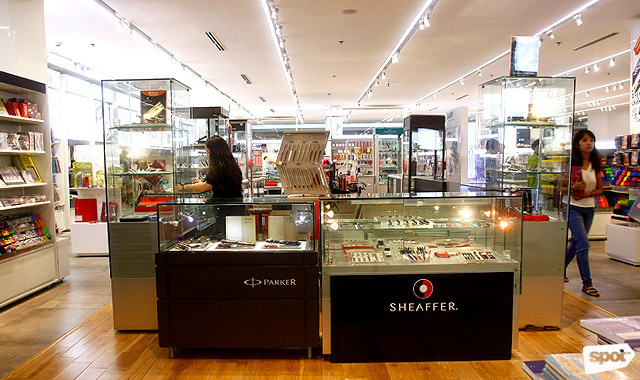 "The new store design aims to provide more interactive moments with our customers," Ramos-Padilla added. This is reflected in the new lounge area with benches and lamps near the books section where visitors are encouraged to browse and read. 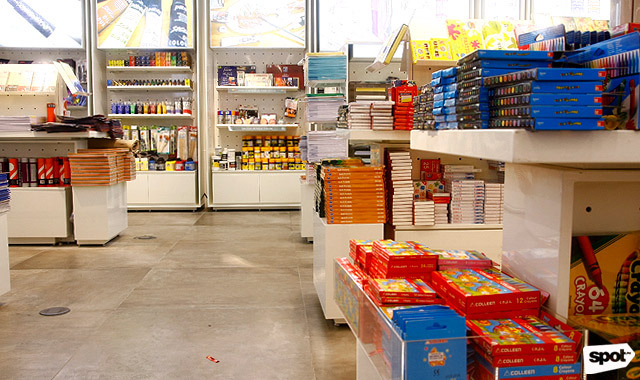 Artists and crafts enthusiasts would also probably squeal in delight while checking out their paper bar, where you can purchase fine paper in single sheets (a.k.a. tingi-tingi); a pen bar, where you can try out all kinds of pens on the available scratch papers; an electronics bar, where you can try out new ebook readers; and a gifts bar, where you can select your own wrapping paper, ribbons, and cards. Aside from the four bars, two zones are also installed to complete the user experience. 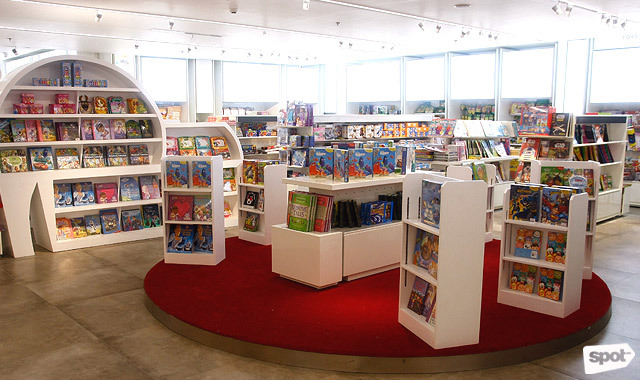 They have the Kids Zone, which features animal-shaped book shelves and an activity space for educational toys. 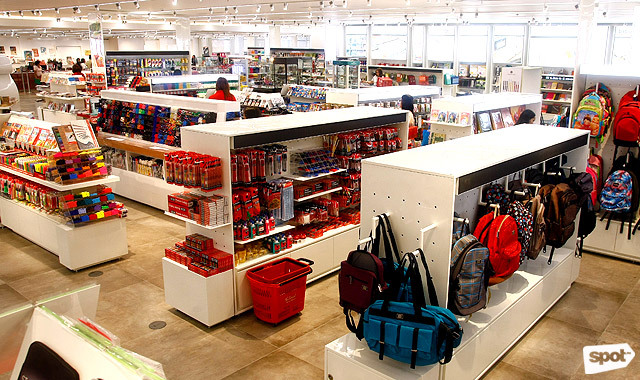 The other one is the Brands Zone, which features local and foreign stationery and gift brands, including Kate Spade stationery, MoMA, Caran d’Ache art products, Meri-Meri party objects, and Kid Made Modern DIY items. 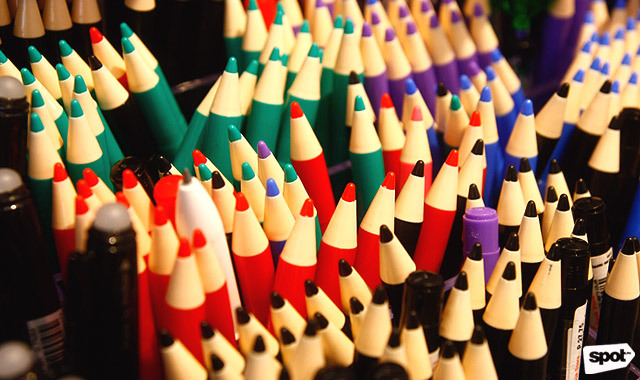 It's a one-stop shop for artists looking to replenish their calligraphy inks, oil paint tubes, colored markers, and brushes and pencils of all shapes and sizes, as well as the gift-giver who often buys items at the last minute. 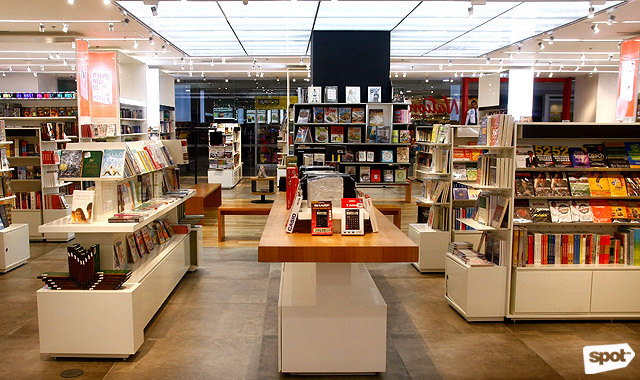 National Book Store worked with Malherbe Design, a French creative agency specializing in commercial spaces, to come up with the new look. Aside from SM North, SM Seaside Cebu has also implemented the revamped layout. "A couple of other stores are lined up to be renovated with this design including SM Megamall," revealed the NBS Managing Director. How cool is it that your favorite childhood bookstore is growing up too? 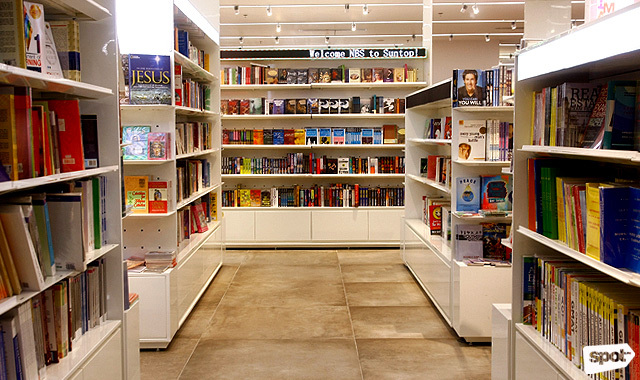 National Book Store is at the Upper G/F, SM City North EDSA, North Avenue corner EDSA, Quezon City.